When I ride my bike with my yogurt cart around Chicago, I mostly get strange stares and averted glances, and a few enthusiastic shout-outs. But there are some times I can’t help but glow at the amazing people and projects in this city. Friday was an exceptional showcase of these inspirational people. I went to a great event in Pilsen about street food and vendors of various kinds. Check it out, you won’t be sorry: the Nite Market. I’m also super excited and flattered to be speaking at the next Pecha Kucha Night Chicago!! Come see me tell a story about yogurt, to the tune of 20 slides progressing behind my head out of my control. 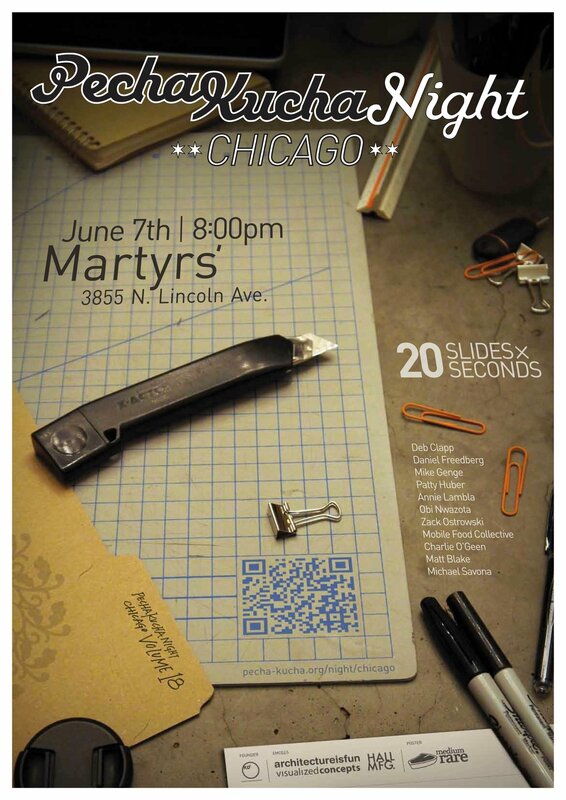 Mark your calenders: June 7, 8:00 pm, at Martyrs’ (3855 N. Lincoln Ave).